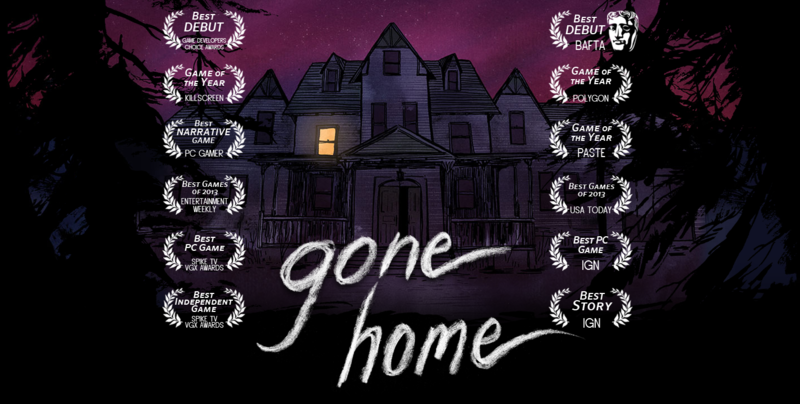 I finished playing the game Gone Home last night and I have to now recommend this game for everyone to play. It is one of the most emotionally impacting video games I have ever played and also perfect for a rainy, overcast October. The game is extremely simple and only takes a couple of hours to play. You find yourself in the front porch of your family's new house. There is a storm raging outside and there appears to be no one home. Over the course of the next couple of hours you will progress through the house to find diary chapters form your sister along with notes about your Uncle who used to live in the house. I won't spoil the magic of these passages, but the game has a beautiful atmosphere and perfectly told story. There are moments where your own imagination will get the better of you, but you should just keep going forward for the story. This won't "scare you", I promise.